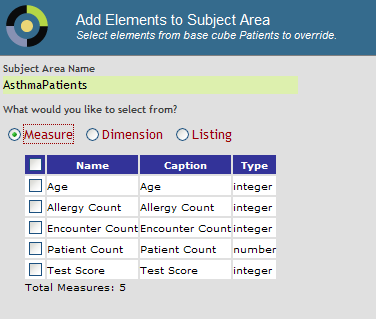 Also see “Defining Compound Cubes” in Advanced Modeling for InterSystems Business Intelligence. You can also use a comma-separated list of cubes; see “Defining Compound Cubes” in Advanced Modeling for InterSystems Business Intelligence. 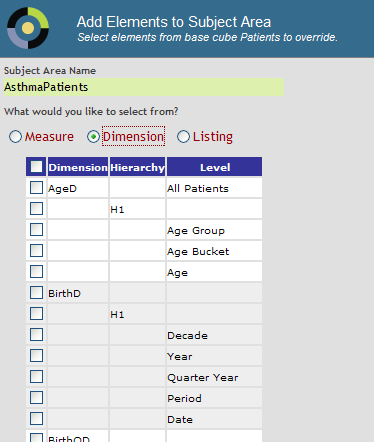 For information, see “Filtering a Cube or Subject Area Dynamically” in Advanced Modeling for InterSystems Business Intelligence. 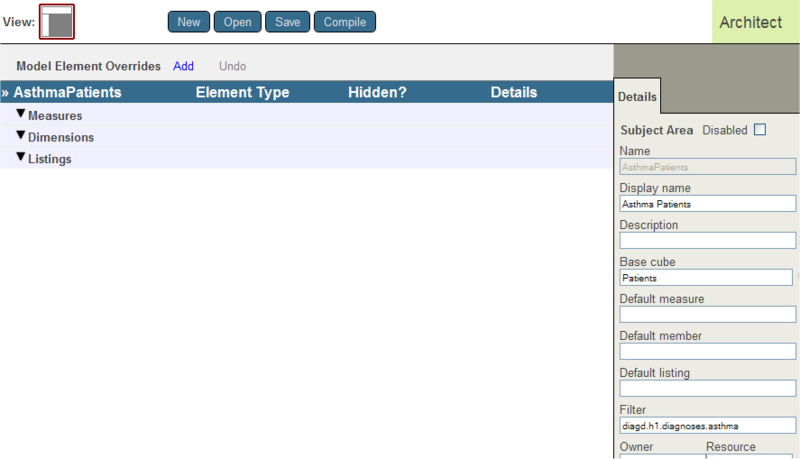 Create a filter by drag and drop as described in Using the Analyzer. Also the InterSystems MDX Reference. Disabled  (Optional) If you select this check box, the override is disabled. 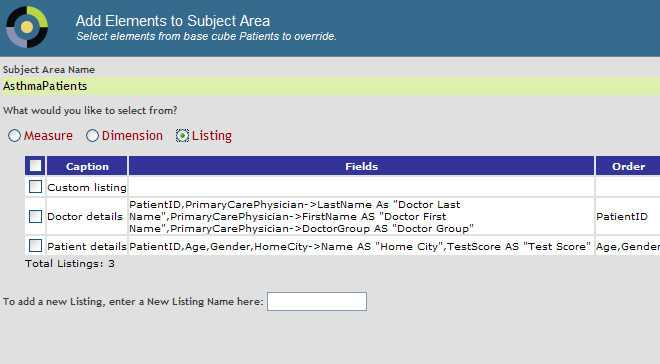 When you recompile the subject area, this override is ignored and the system uses the definition given in the cube. Default member  (Optional) Default member to use when a query skips an axis. Specify an MDX expression that returns a member that is accessible in this subject area. For information on member expressions, see the InterSystems MDX Reference. 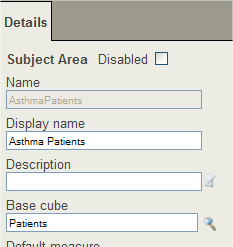 If this is not specified, the system uses the default member as defined in the cube. Resource  (Optional) Specify the resource that secures the subject area. Domain (Optional) Specify the name of the domain to contain the localized strings of this subject area. You might find it convenient to use a single domain for all your cubes and subject areas; in other cases, it might be appropriate to have a separate domain for each cube and subject area. See the chapter “Performing Localization” in Implementing InterSystems Business Intelligence. Format string  Specify a new format string to replace the one defined in the cube. See “Specifying a Format String,” earlier in this book. The system starts to compile the class and displays progress as it does so.